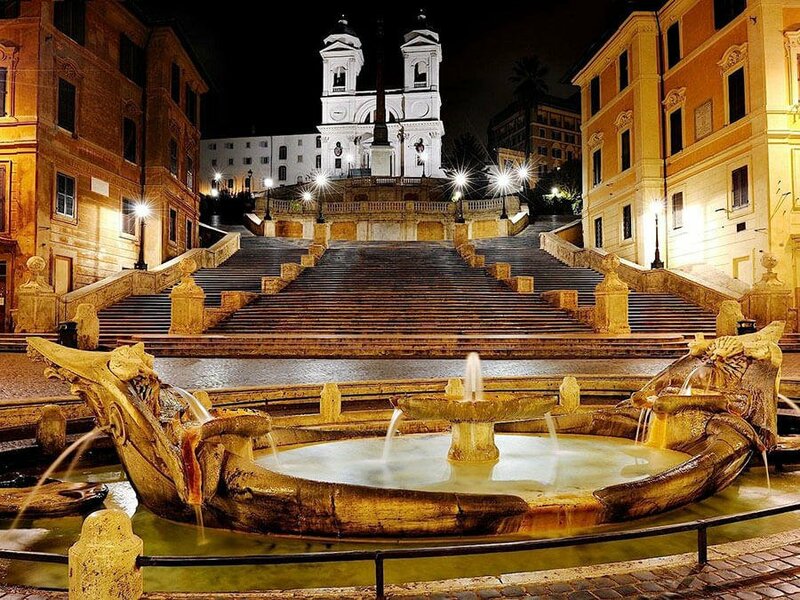 Babuino 181 has a perfect location in Rome, on the famous via Babuino between Piazza del Popolo and the Spanish Steps. 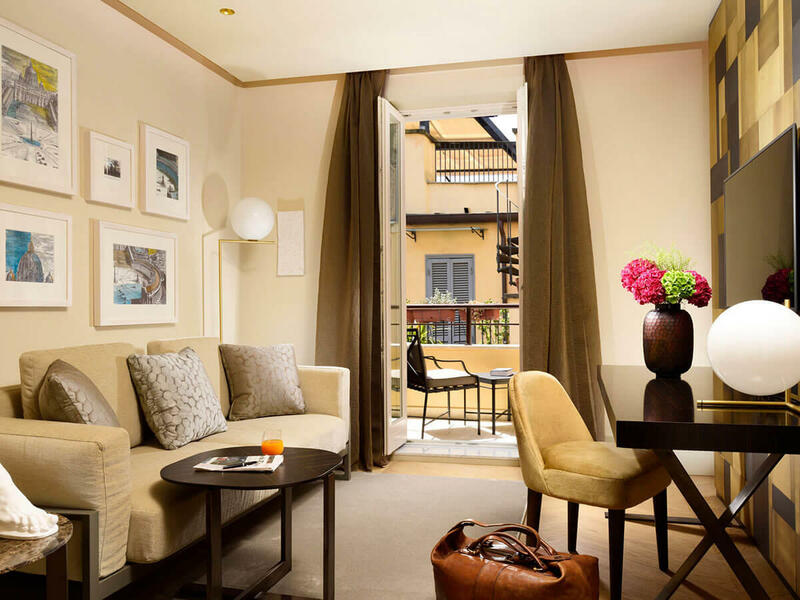 Like each of our Rome Luxury Suites hotels, Babuino 181 combines the rich history of this enchanting neighborhood with contemporary Italian style. 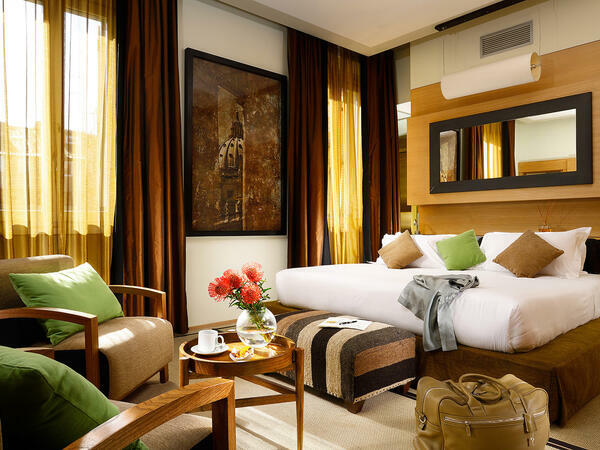 Each of our tastefully appointed rooms & suites was designed for the discerning traveler. 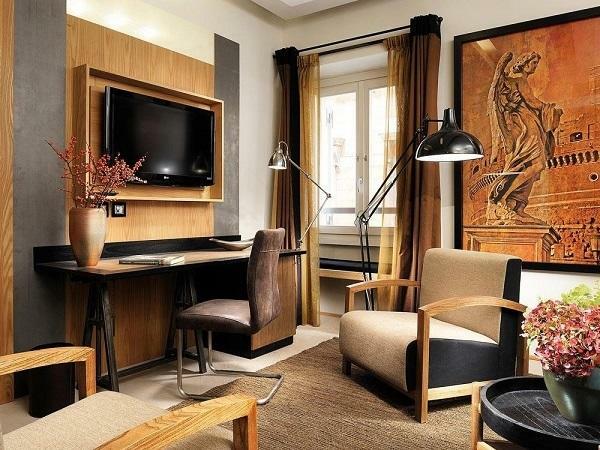 Add our customized service and you’ve found the ideal chic boutique hotel in Rome. Step between Rome’s top fashion designers, disappear through discreet glass doors…and enter another dimension of Italian Luxury Suites in Rome. 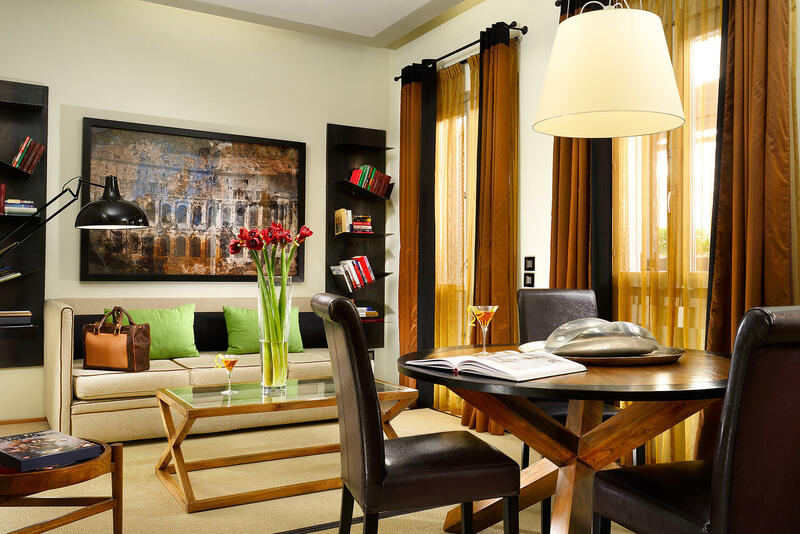 After a day of inspiration touring Rome’s sites, come back to your home in Rome. The elegant design of our 4 star boutique hotel in Rome together with its comfort will make your stay at Babuino181 unforgettable. 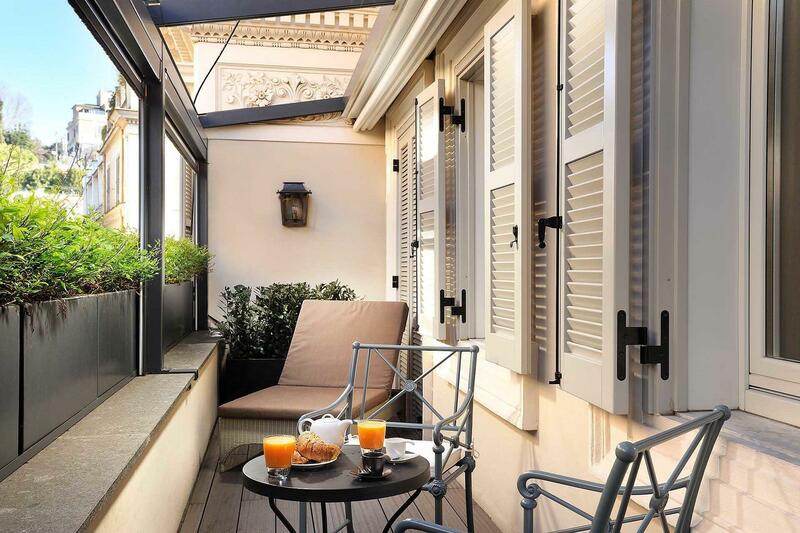 Sip a cocktail on the rooftop terrace overlooking Rome’s beautiful streets. Slide between Frette sheets. Rest in comfort—and with the confidence that, no matter what you need or what personalized service you require, Babuino 181’s professional staff can make it happen. After drinking in the beauty and history of Rome, or browsing its boutiques, full of artfully made Italian goods, savor Assaggia. A food experience that mixes tradition with modernity, to stunning effect. 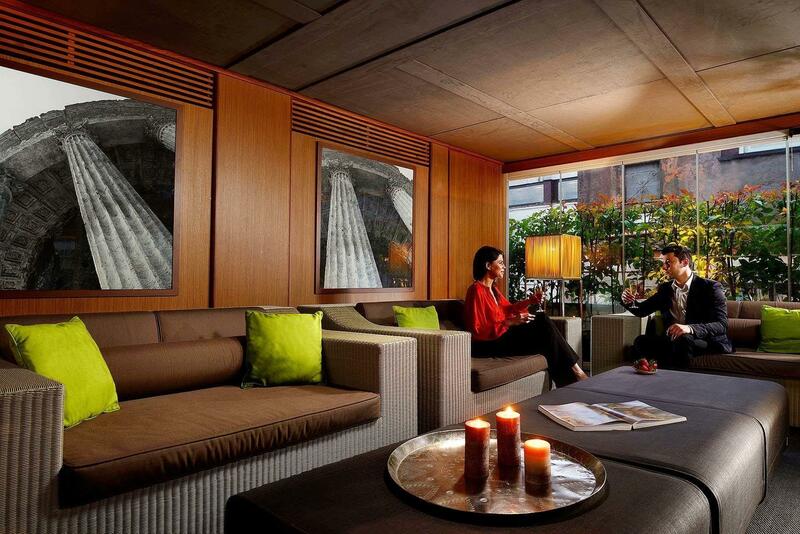 It’s a place to linger, to relax, to taste. 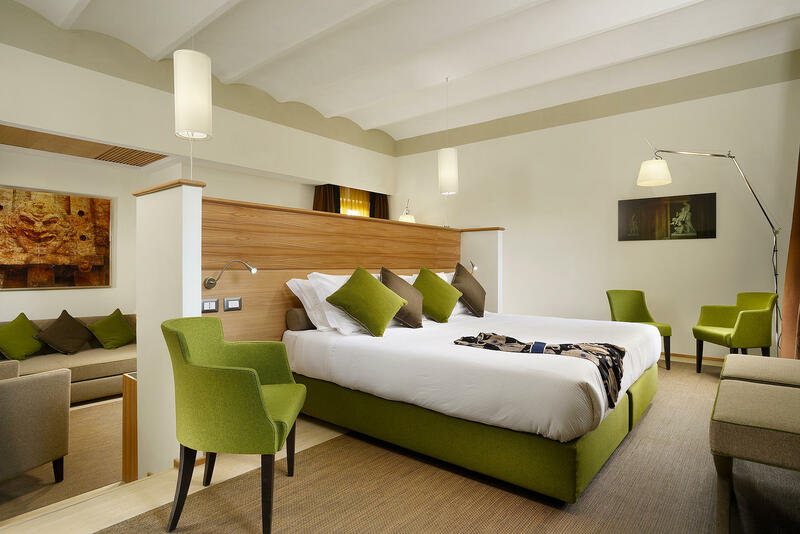 – see why our guests love to come back. Our concierge staff is warm, welcoming, and will share their intimate local knowledge of what to see and do in Rome. 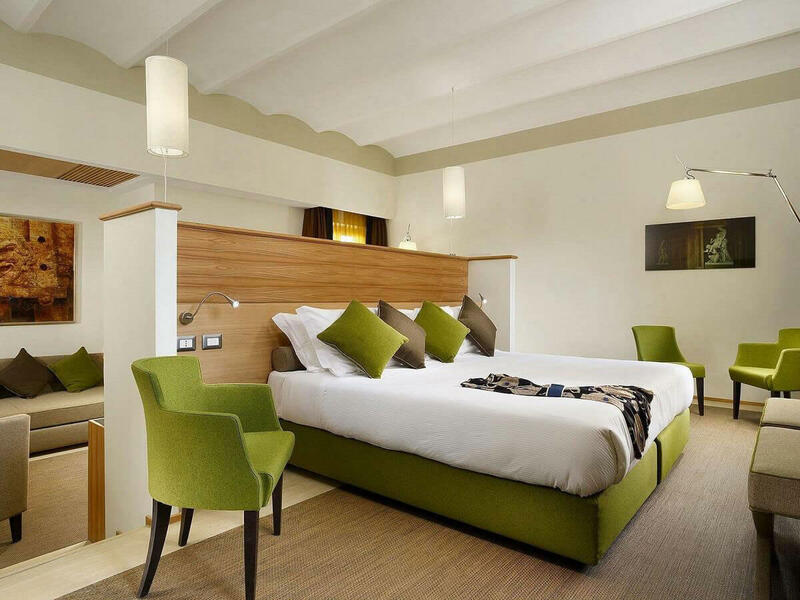 In the heart of Rome’s picturesque, historic center, you are in walking distance to the Spanish Steps, Trevi Fountain and most major sights. Mixing tradition with modernity, enjoy Assaggia – Michelin-starred chef Angelo Trojani’s delicious exploration of tastes from authentic Roman cuisine. 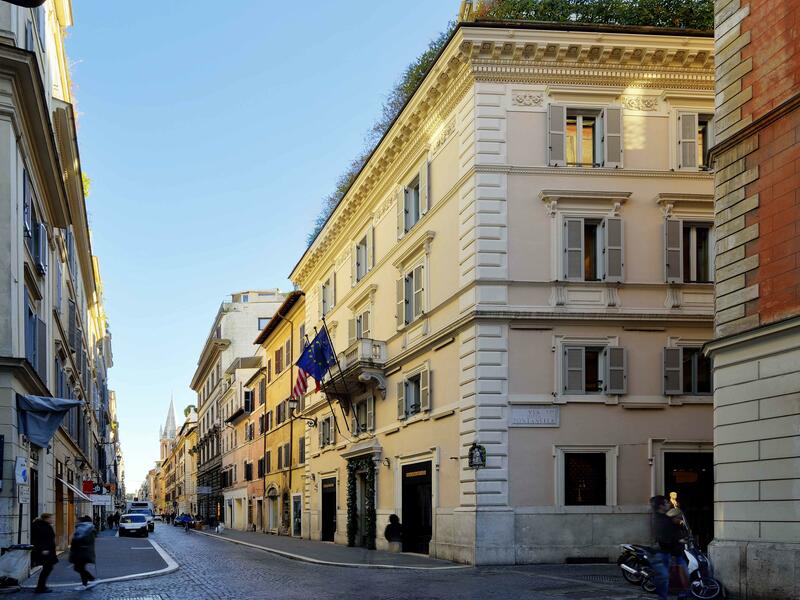 From our stylish rooms to our historic setting, we offer a uniquely intimate experience in Rome and our clients have rewarded us with great reviews. 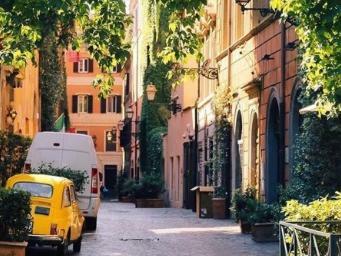 One of the most enchanting neighborhoods in Rome. 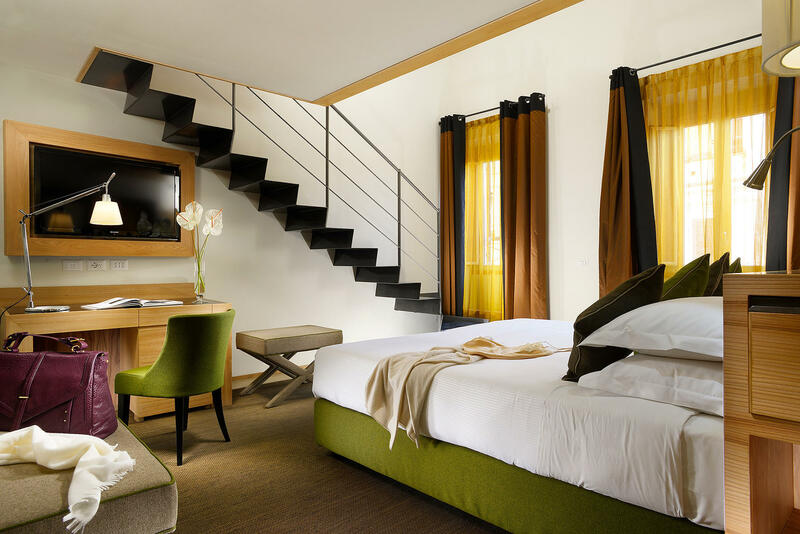 A Four Star chic boutique hotel in Rome between the Spanish Steps & Piazza del Popolo. 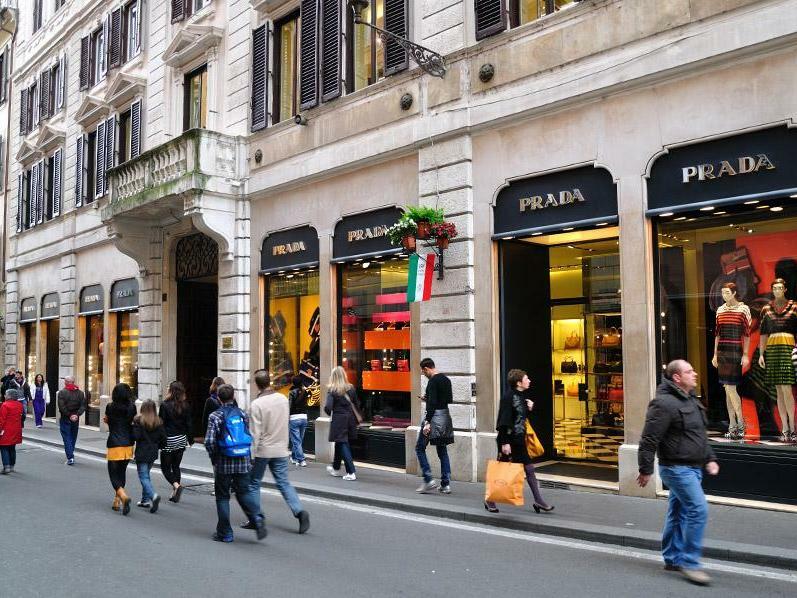 Close to Rome Luxury Suites is Via Condotti, Rome’s most fashionable shopping street. This arrow-straight street dates back to ancient Rome, and is named after conduits which carried water to the Baths of Agrippa. The Spanish Steps are one of Rome’s focal points, and Rome Luxury Suites are only a short walk away from this magnificent rococo staircase. It’s a beautiful sweeping centrepiece, where visitors gather to sit, take stock and people watch. 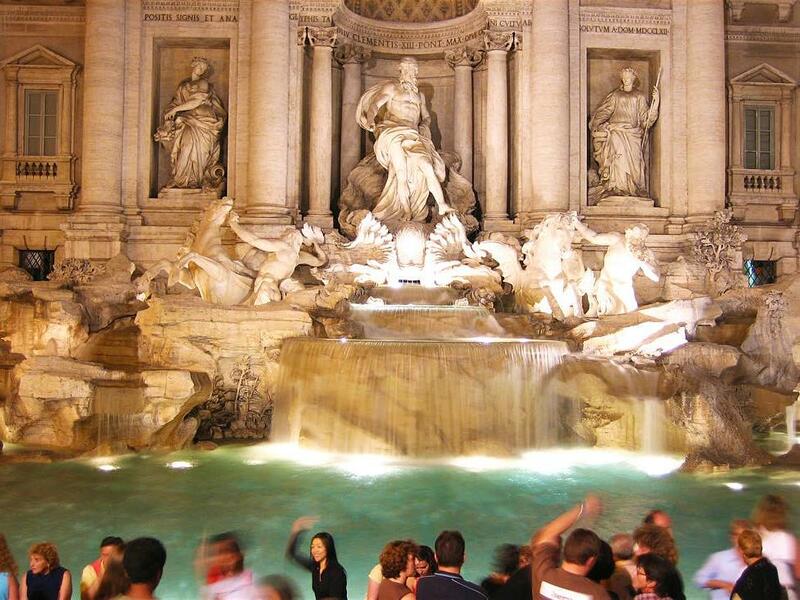 Only a 10-minute walk from our Rome Luxury Suites properties, the Trevi Fountain is another extraordinary icon of Rome. This fabulously foaming masterpiece seems to be constantly thronged with people, throwing a coin over their shoulder to ensure a return to Rome. Two blocks from Margutta 19 and Babuino 181 is Piazza del Popolo, a graceful oval public space. 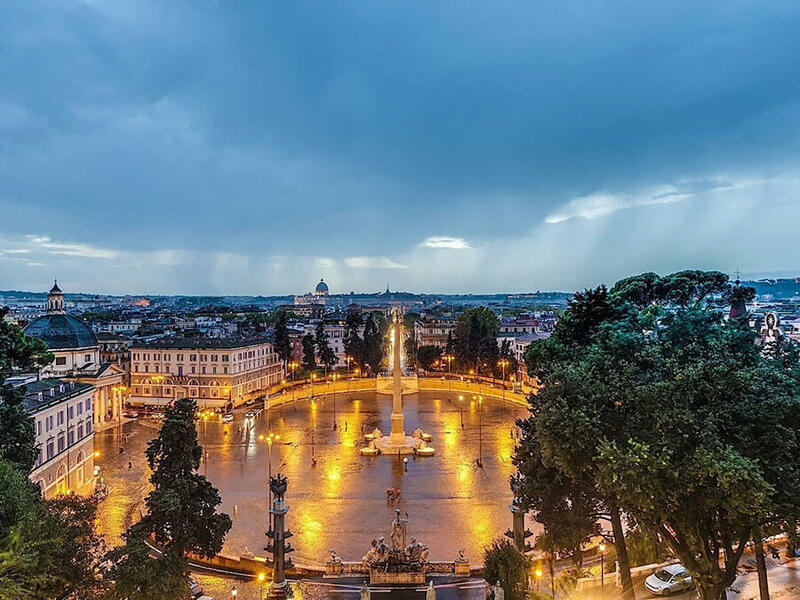 The name means ‘People’s Square’, but it was actually named after the Basilica of Santa Maria del Popolo (St Mary of the Poplars), which overlooks the piazza. 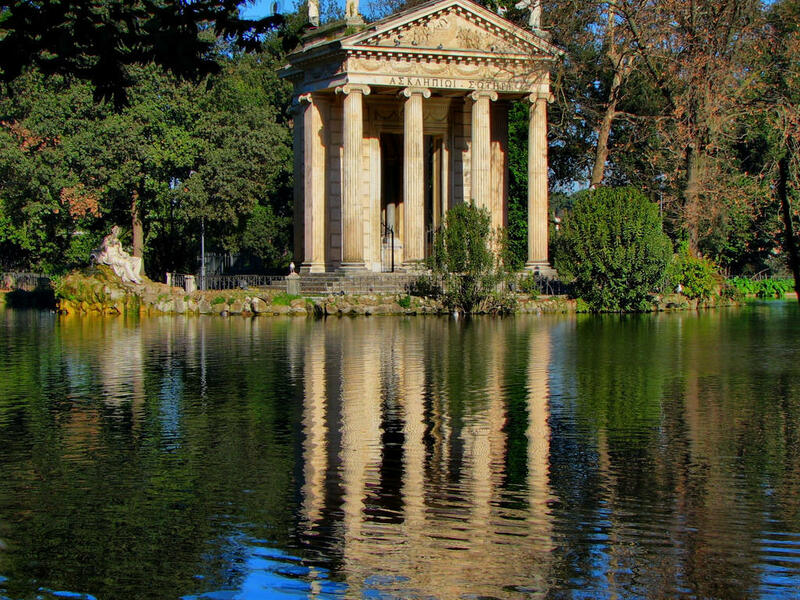 All Rome Luxury Suites properties are a short walk from Villa Borghese, Rome’s magnificent central park. The beautifully landscaped, bucolic parklands once belonged to the powerful Borghese family.